Happy Friday people, what've you been wearing this week? 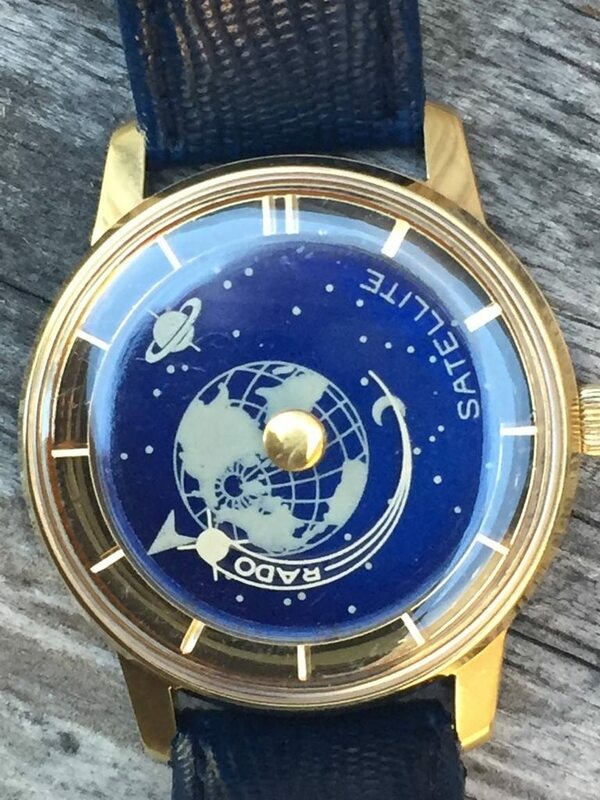 Here's the watches that told my time. I ended up wearing my weekend watch on Monday again this week. The watch I had expected to arrive on Monday morning didn't arrive till late afternoon, so I kept the XL diver on, no big problem, it's a great watch. Tuesday, the new dive toy that arrived on Monday afternoon. Great readability in light or dark conditions. The case is a little unusual for a diver with some slightly art deco cues. Just like the Blue Neymar diver I recently bought, it'll be off to my watchmaker for regulating next week. It's currently gaining about 15 sec/day and I'm sure we can achieve better than that. Henry will be pleased, no Mercedes hand on this one. Wednesday, a favourite, the Balboa Cologny. So small and light after the Deep Blue diver. And today my endlessly fascinating Balboa Excel. Have a great weekend everybody. Last edited by pimpclinic.v.s.o.p. ; 02-08-2019, 12:18 PM. A great week of watches Tim. The new Deep Blue looks very striking, but I'm glad that its late arrival gave the Diastar diver an extra day on the wrist. 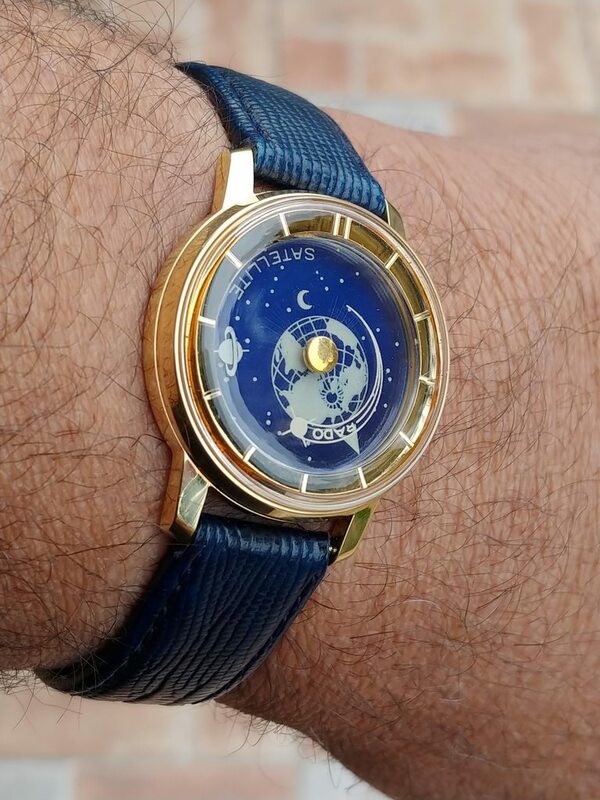 Very hard to choose a watch of the week from your pics but my choice is a watch that I've owned numerous times and sold for no other reason than the case colour. Everything else about it is perfect Rado funk. Stunning Marcus. A beautiful dial in a razor sharp case. Happy Friday everyone. These are the watches that joined me this week. On Monday I carried the lapis theme from last week with the Diastar 515. I worked from home on Wednesday so stayed casual with the Diastar Captain Cook. Another mineral dial for Thursday with the Shell Diastar 8/1. I'm really enjoying my NCC's at the moment and really don't wear the 202 often enough so that gets star billing for Funky Friday. Thanks mate, you've had an absolutely outstanding week. I'm going with your Shell DS 8/1, it's a great photo of the depth of colour and texture in that MOP, quite beautiful. Thanks mate, I was quite surprised at the way the dial came out in this photo. I am picking your Excel this week Tim. In regards to your new diver, congratulations and yes, those are proper dive watch hands. I'm picking discreet this week Scott. Tuesday it was the sapphire crystaled Rothorn. Wednesday, while I was walking to work Saskatoon was the coldest place on earth, and colder than parts of Mrs. I couldn't be bothered to take a picture of the Grab n Go Quartz Tiki. wed.jpg Yesterday a little gold plate to keep me warm. At around 4:00 pm yesterday we got an email from our thermostat informing us that there may be a problem with the furnace as it hadn't delivered any heat for two hours. We rushed home to find the house at 10.5 C. We got it fixed around 10:00pm. We decided to take today off after that. I continued my ongoing experment in refrigerator aged dough breads. Carroway rye loaf and Nienaber. Last edited by Henry Krinkle; 02-08-2019, 07:21 PM. I continued my ongoing experment in refrigerator aged dough breads. Carroway rye loaf and Nienaber. Last edited by Tim. ; 02-08-2019, 07:40 PM. Wednesday, while I was walking to work Saskatoon was the coldest place on earth, and colder than parts of Mrs.
A wonderfully eclectic week of watches Henry. I'm choosing your beautiful Rothorn as my watch of the week.